A very fantastical style shoot for the ultra cute label Drink me Alice, by the super talented Alicia of Sea of Ghosts. Styling by me with the help of my lovely assistant Zoe (otherwise known as the "tree"), fabulous hair stylist Renee who created the most amazing hair bow I have ever seen and of course the model Elizabeth. It was an exhausting day, full of ups and downs, a few disasters but a wonderful final product thanks to the photographer Chris of CGI Studios. All clothes supplied by Lady and shoes by Melissa (oh its so hard to give them back!). Another learning experience of what to do, what not to do and more was learnt in 2 hours than in the entire term at Uni studying styling, lol. Nah Uni is good and getting better, especially now filming of Project Runway has begun. 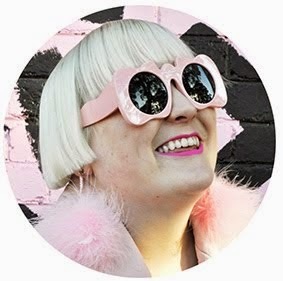 We are not allowed to talk about it but I can say Kirsty Hinze was in the building on Thursday and rumours were going about exactly where in the building she was. Ohhh exciting, Henry Roth should be there from Monday too. It's going to be hard for them this year filming with 180 students on the same floor (last year the school only had 15 students) we all have been told we have to be quiet. Not sure how it will all go down, but its still exciting. Ok enough said, that is all I will say untill it airs in August. 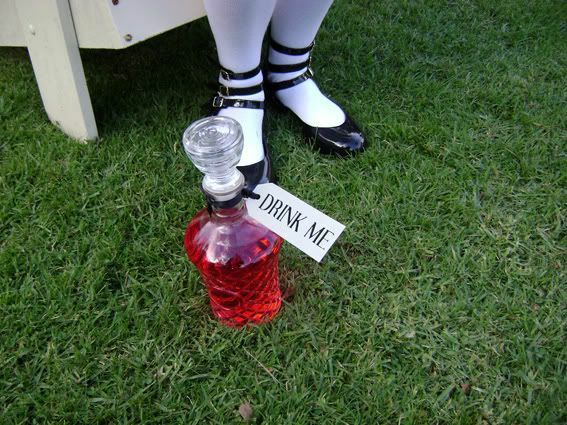 you can never go wrong with something alice in wonderland theme! also, i completely forgot about the second season of project runway here. now i'm definitely excited. 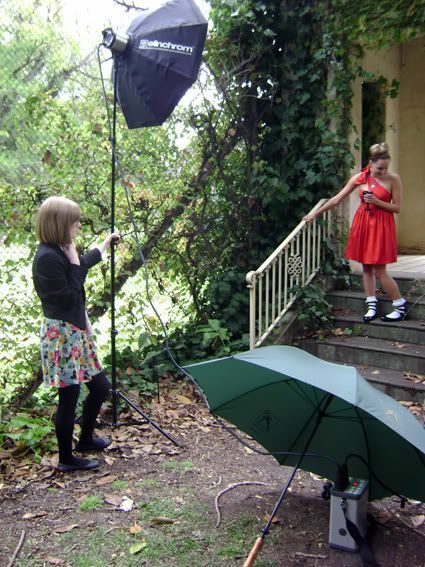 Such a cute photo shoot and I love those shoes - I used to have a pair like them and wore them until they feel apart. im so excited about PR now!